On 23 May 1992 the Mafia assassinated its 'Number One Enemy', the legendary prosecutor Judge Falcone, with a motorway bomb that also killed his wife Francesca and three bodyguards. Fifty-seven days later, the Mafia killed Falcone's friend and colleague, Judge Paolo Borsellino, with a car bomb outside his mother's home that also killed five bodyguards. These two murders changed forever how Italy viewed the Mafia. VENDETTA tells the inside story of the assassination plots and the investigation that followed. 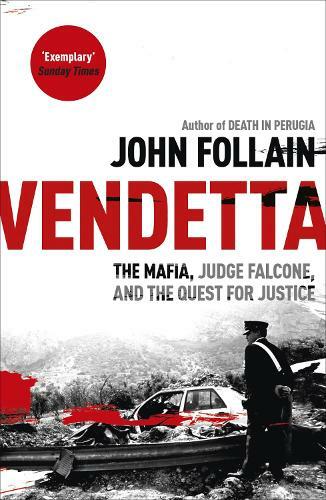 Follain reveals Borsellino's desperate race against time to find out who killed his friend while knowing he was next on the list and reveals the daring undercover police mission which unmasked the killers. Based on new and exclusive interviews and the testimony of investigators, Mafia supergrasses, survivors, relatives and friends, VENDETTA recounts the events hour-by-hour, minute-by-minute as the Mafiosi plan and carry out the murders, and as the police hunt them down.